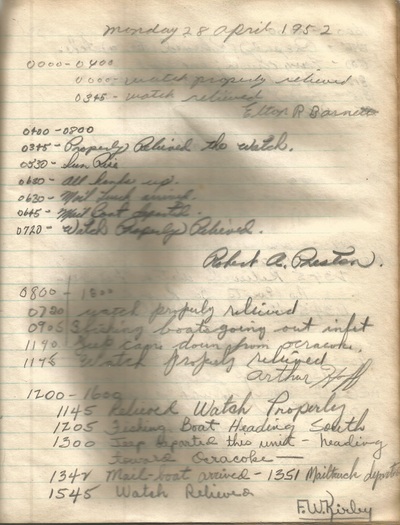 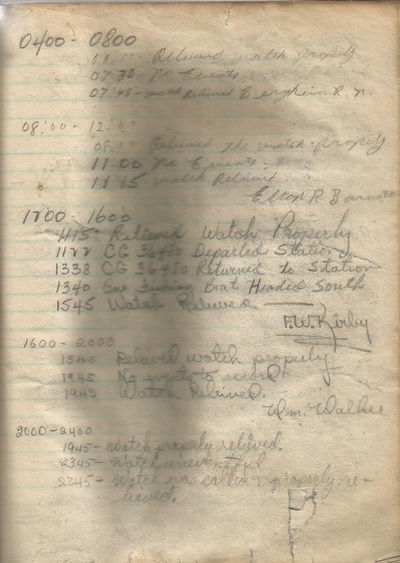 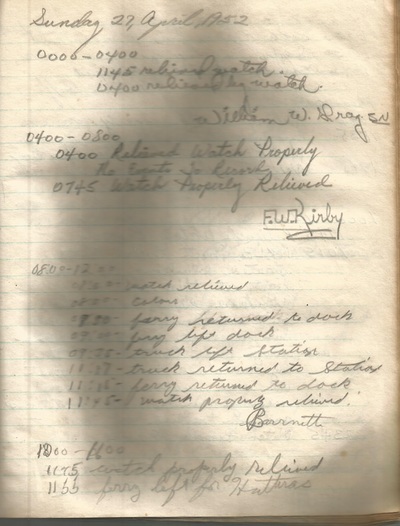 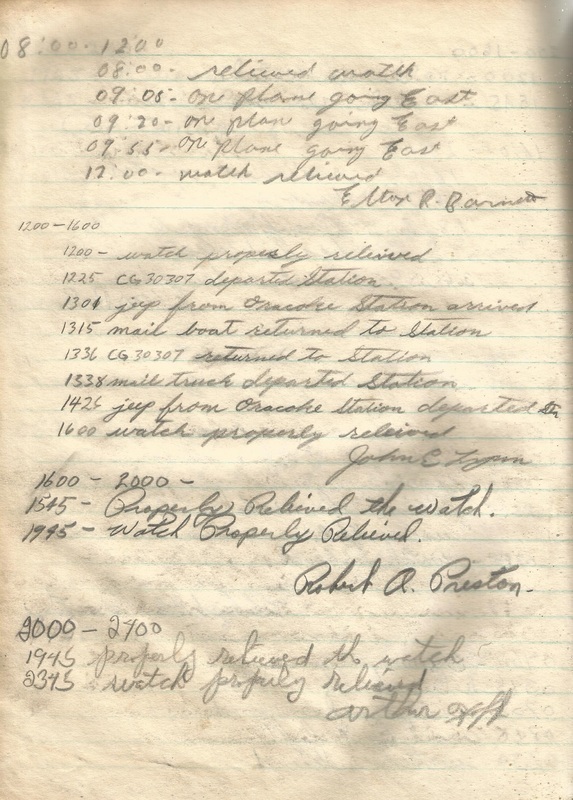 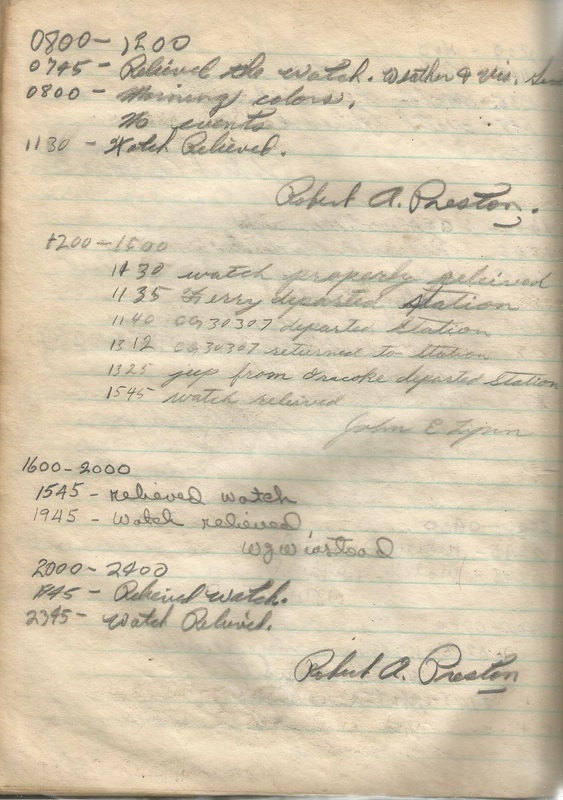 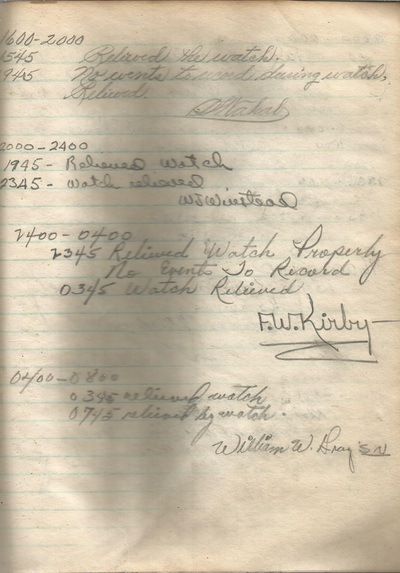 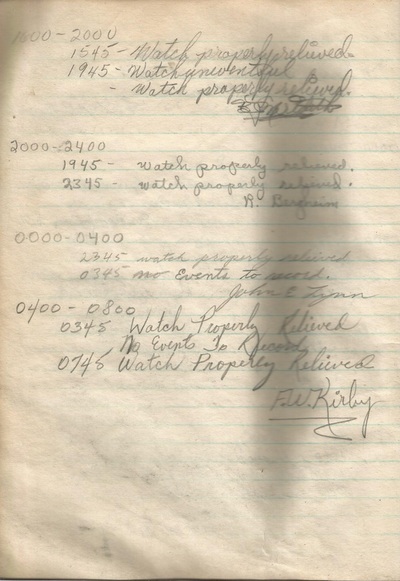 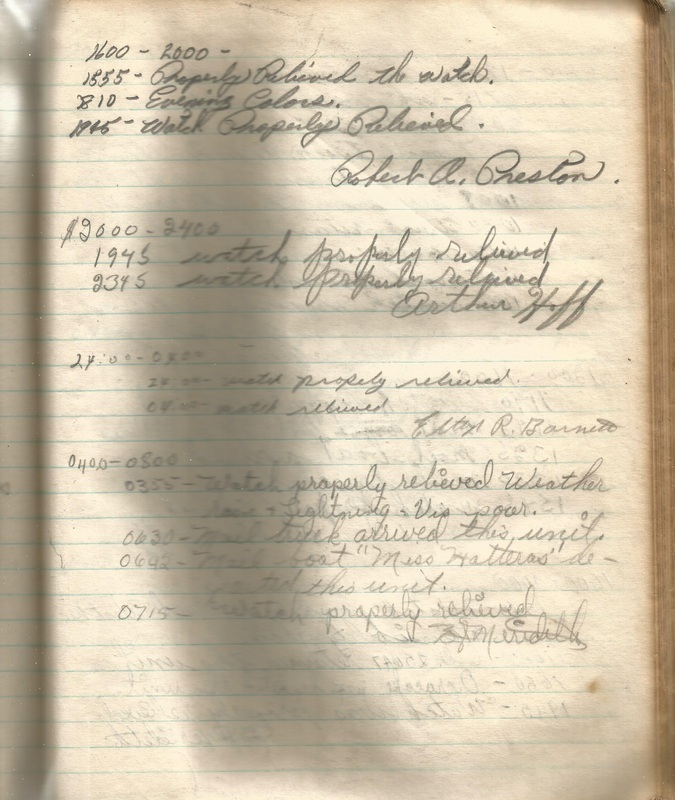 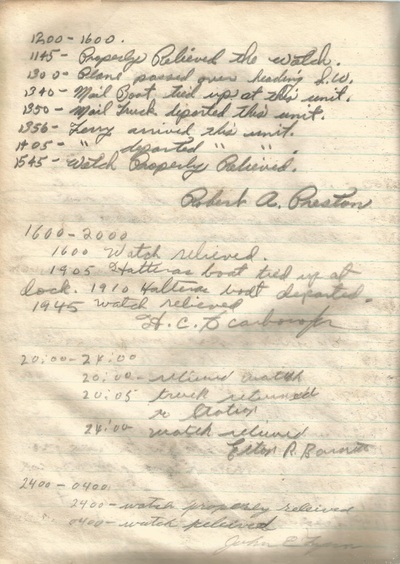 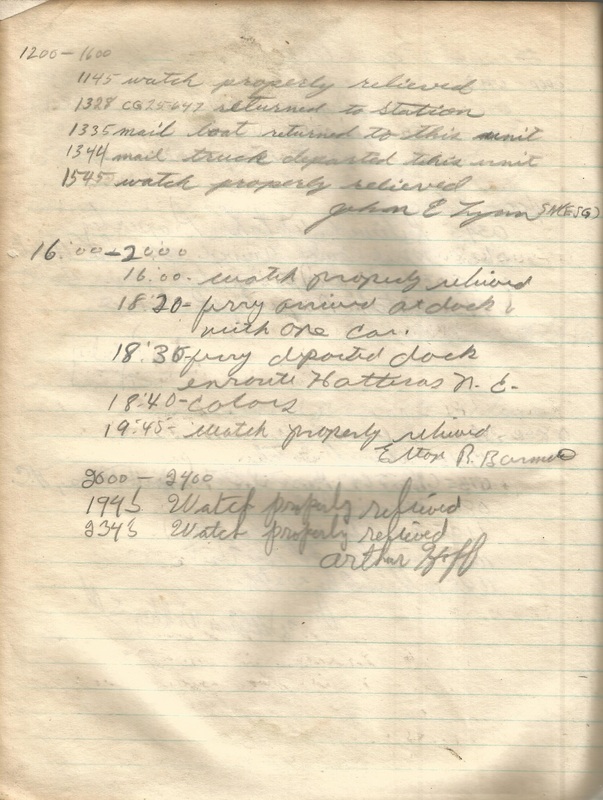 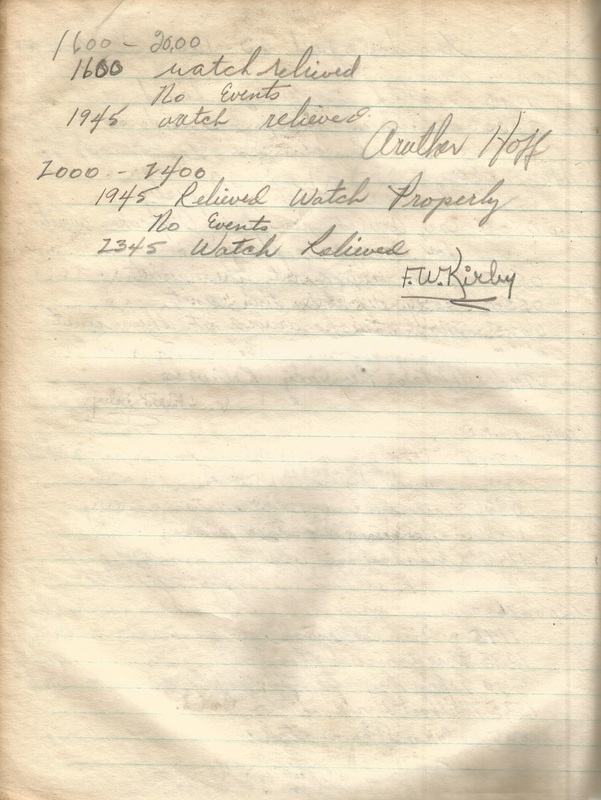 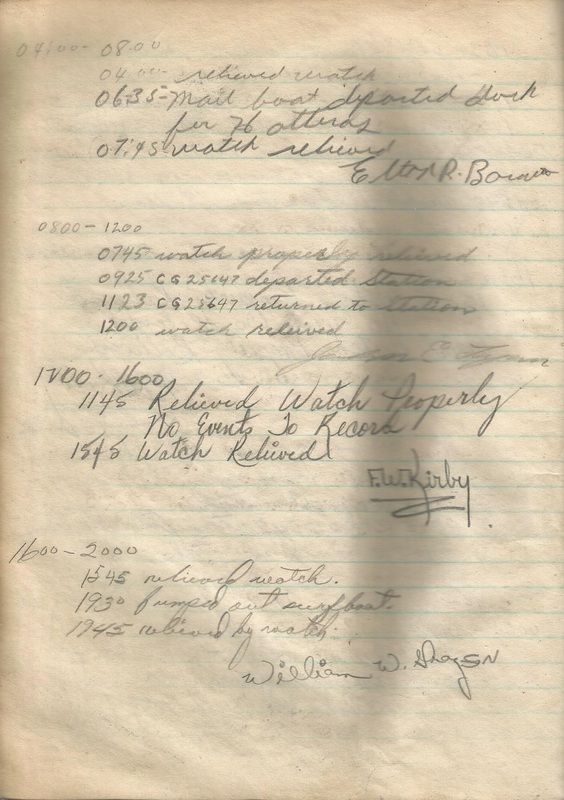 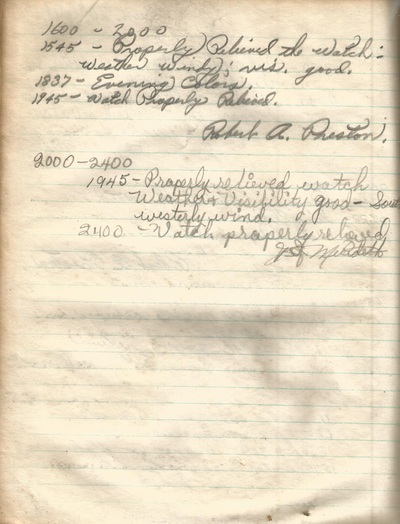 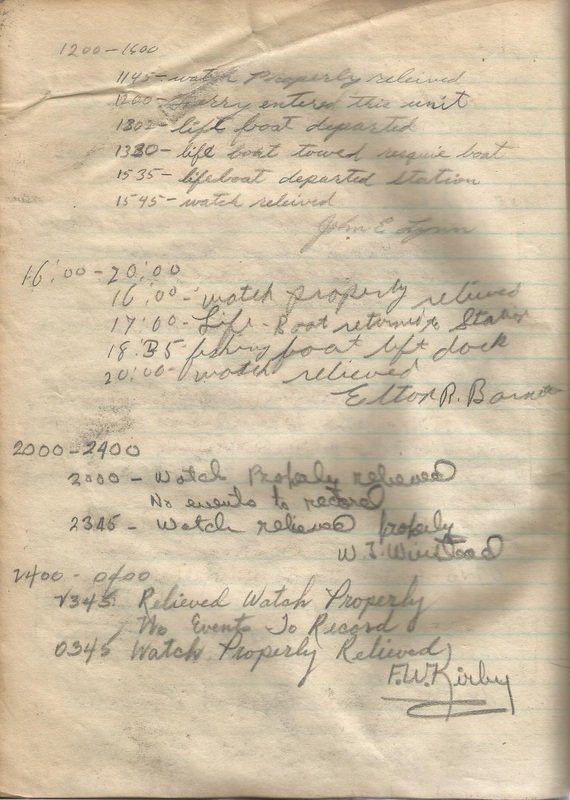 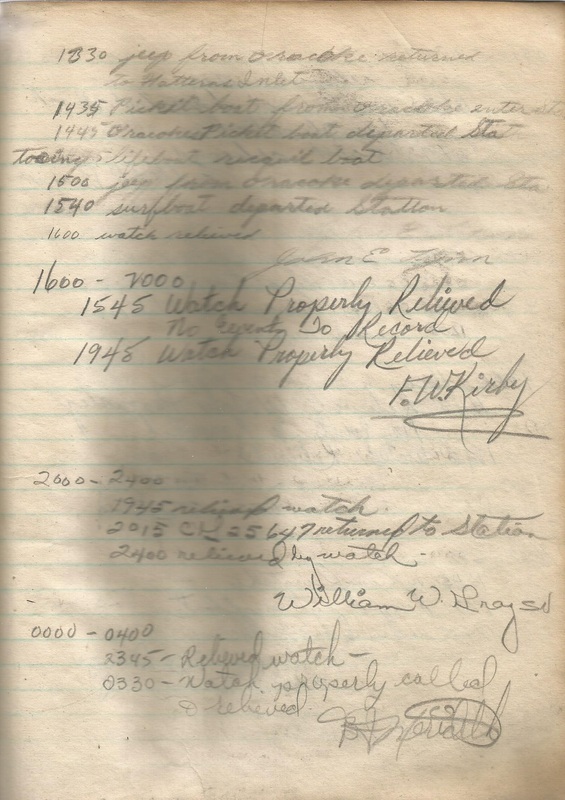 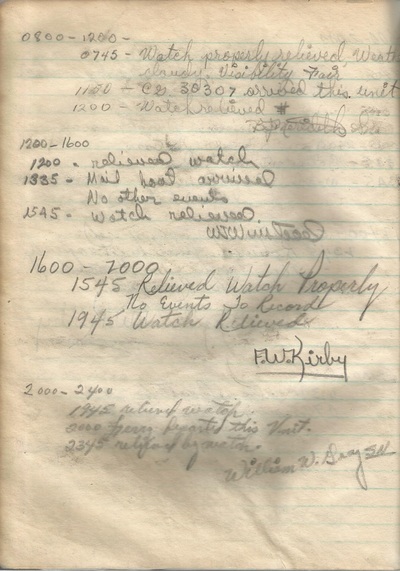 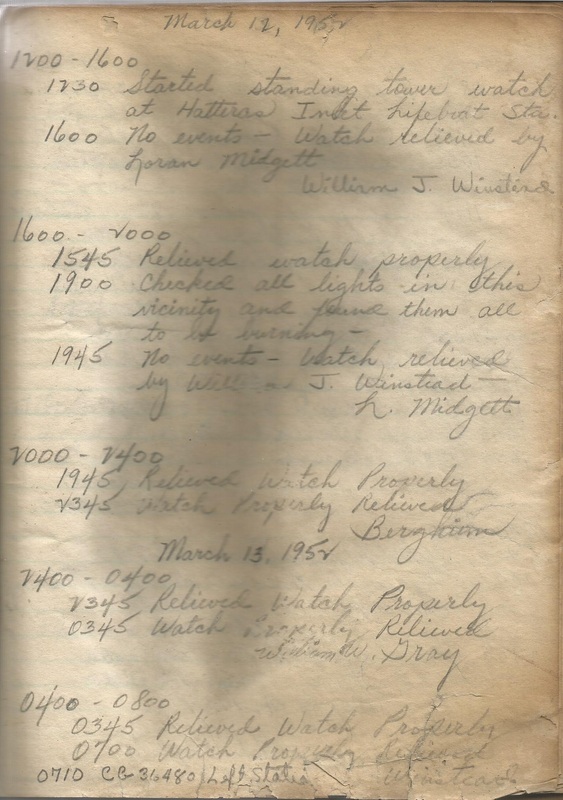 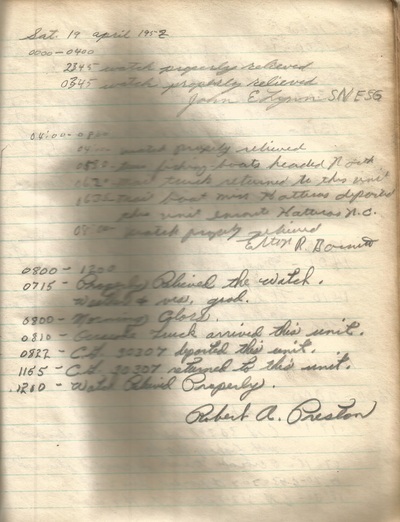 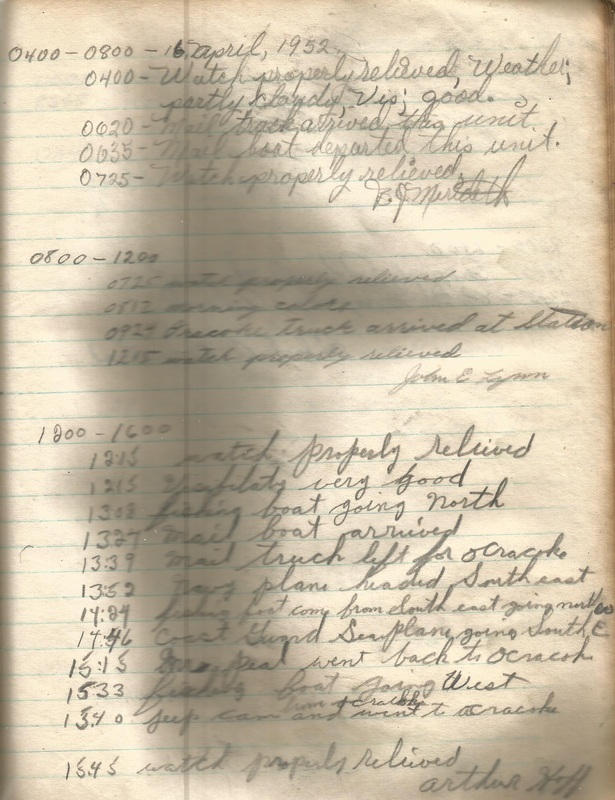 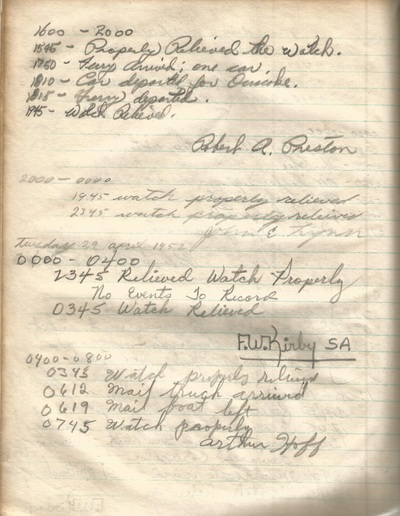 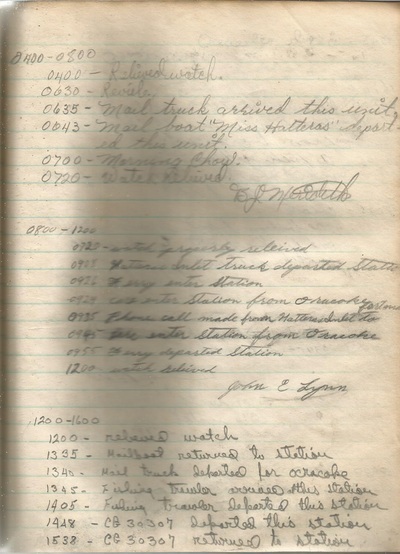 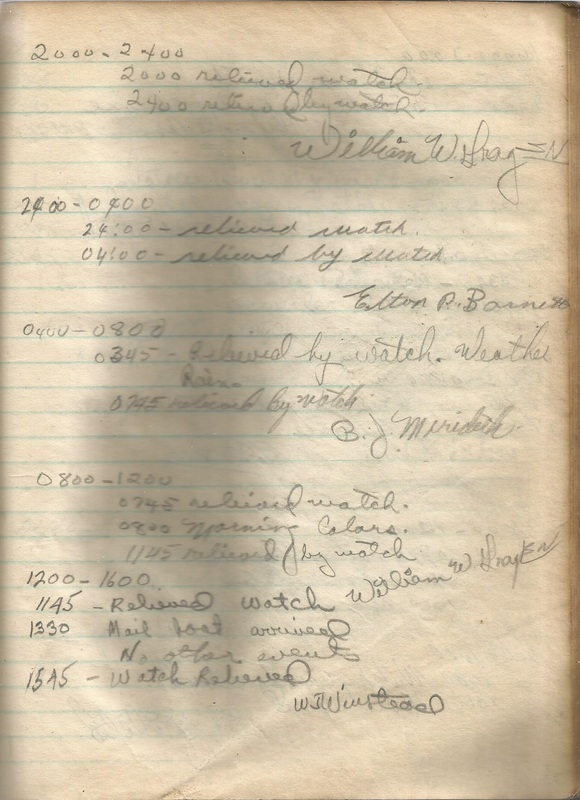 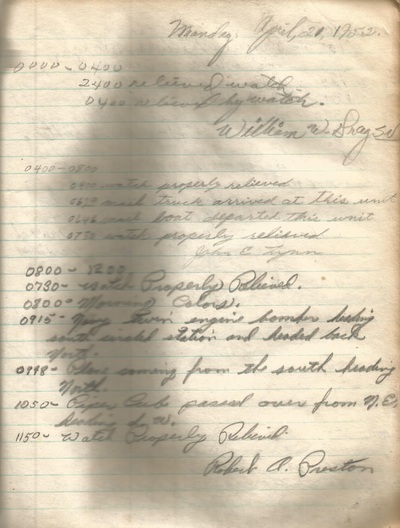 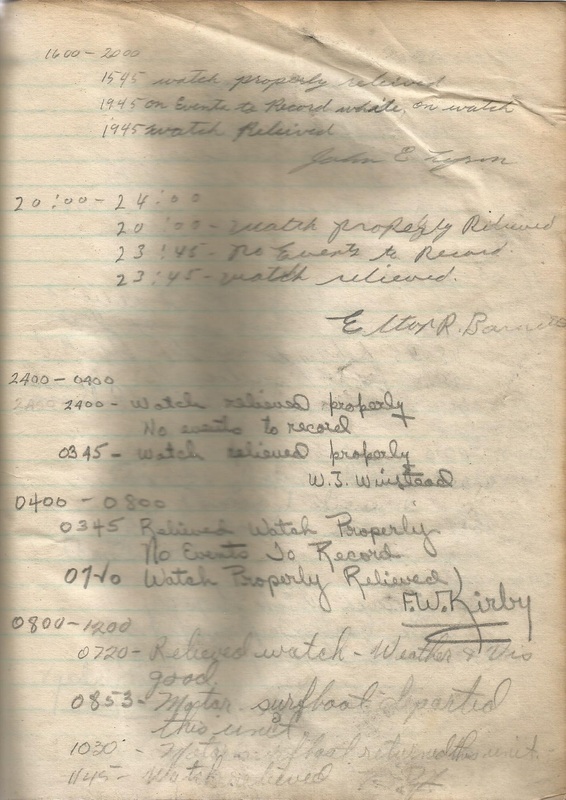 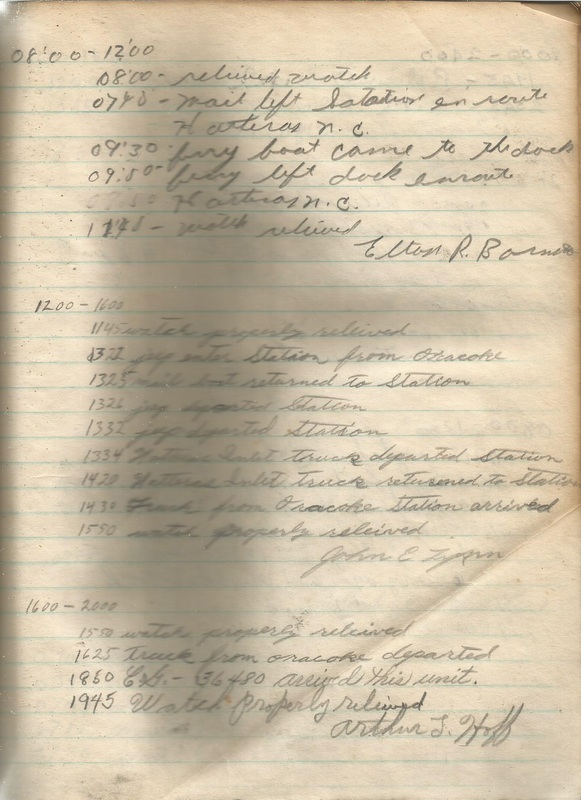 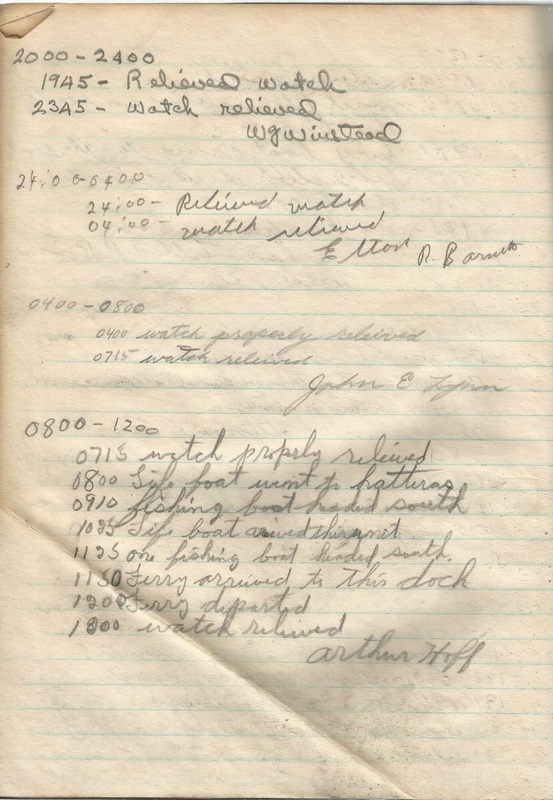 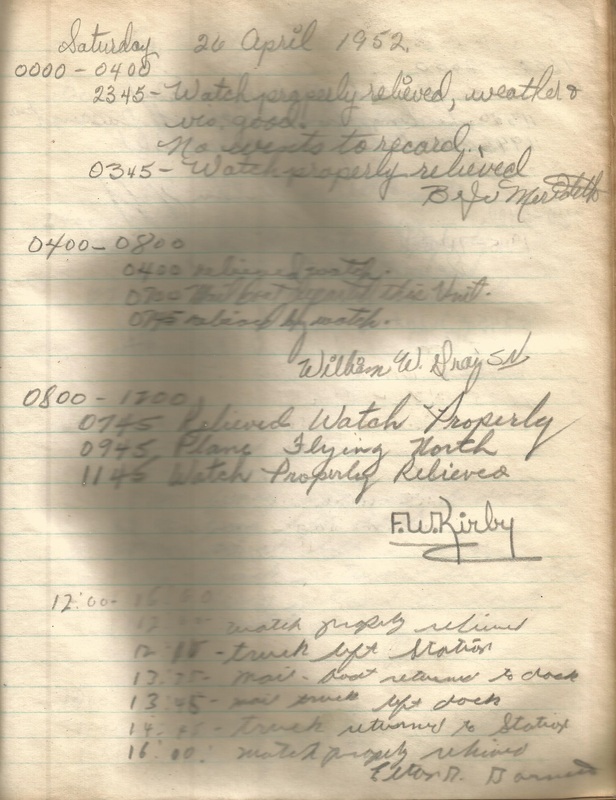 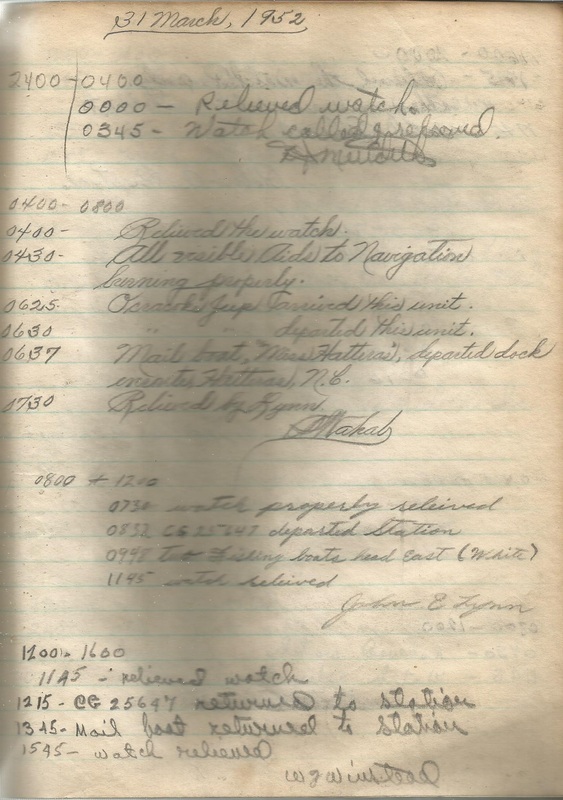 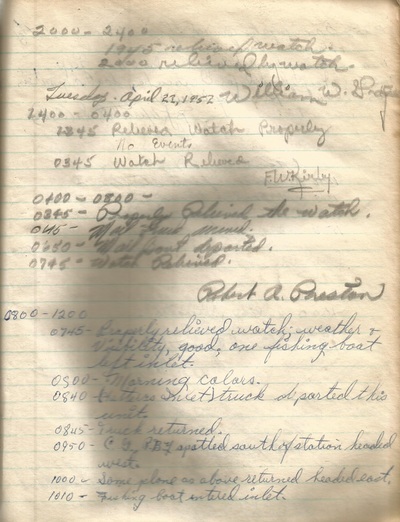 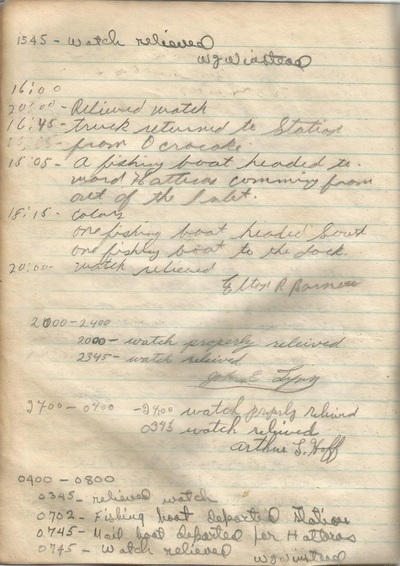 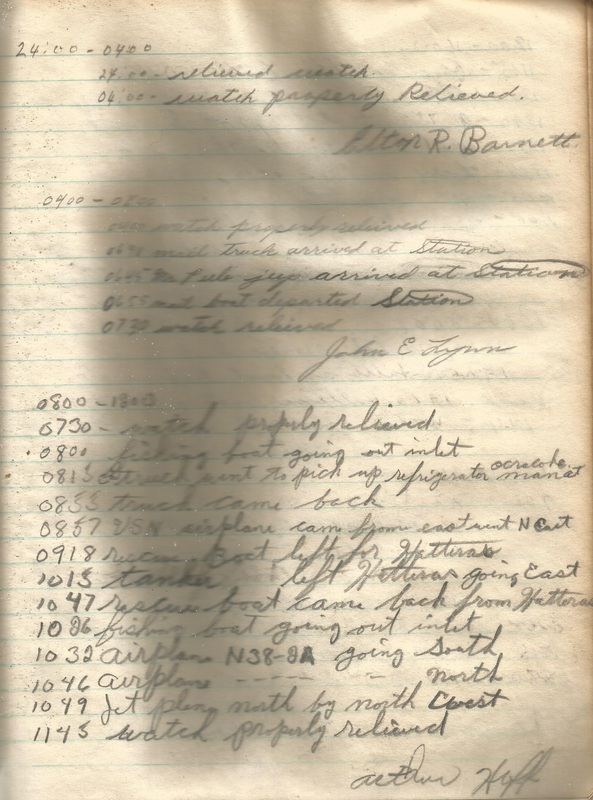 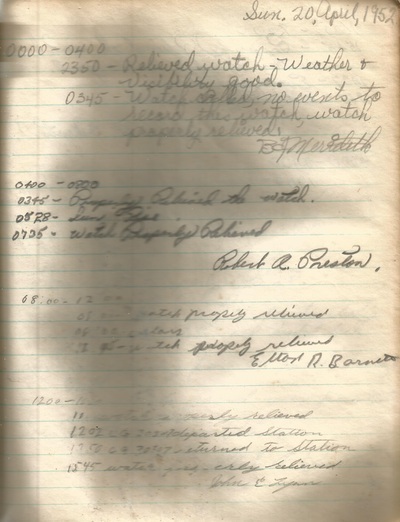 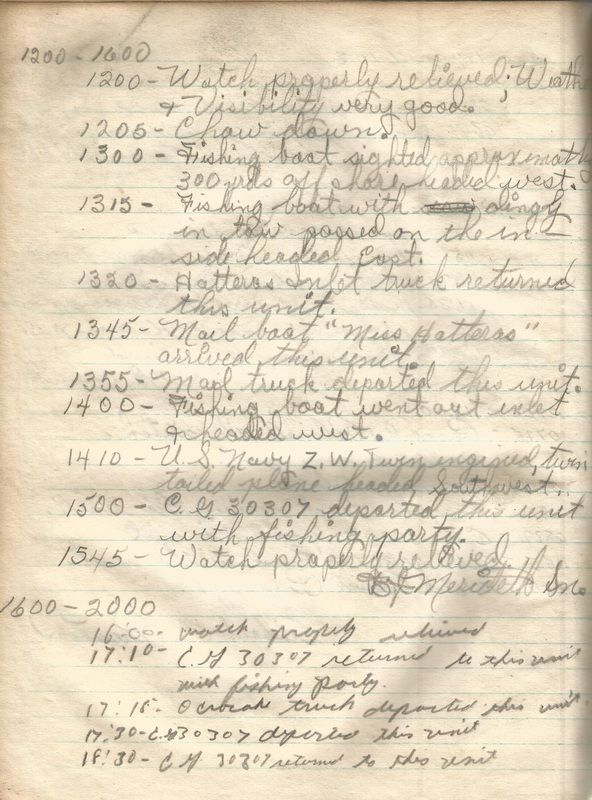 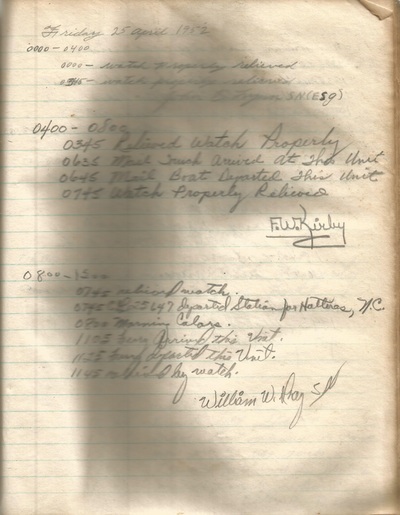 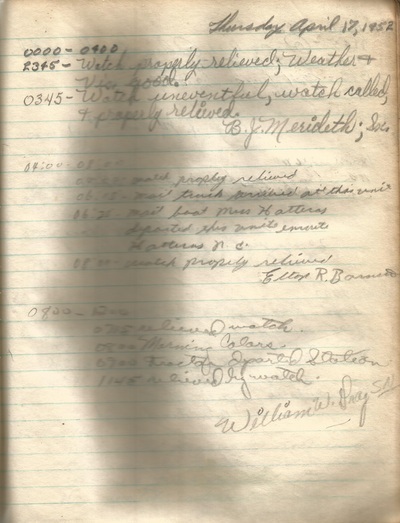 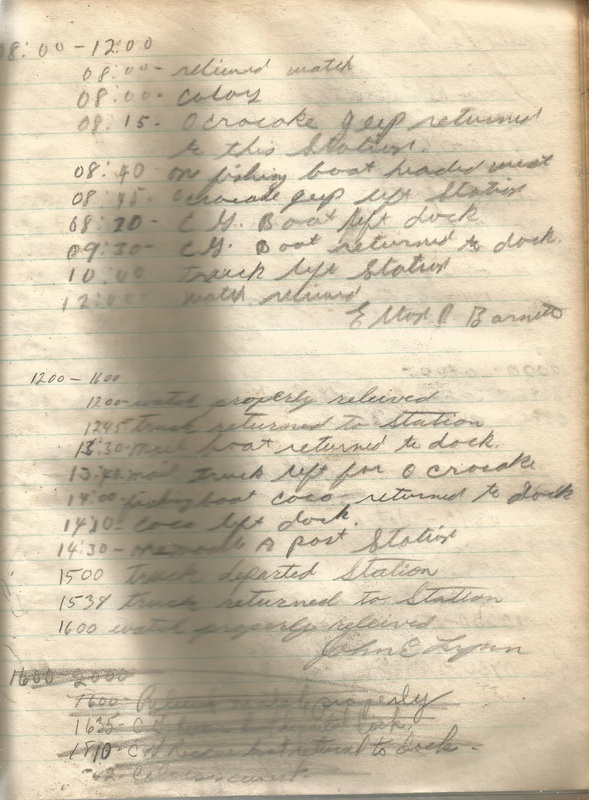 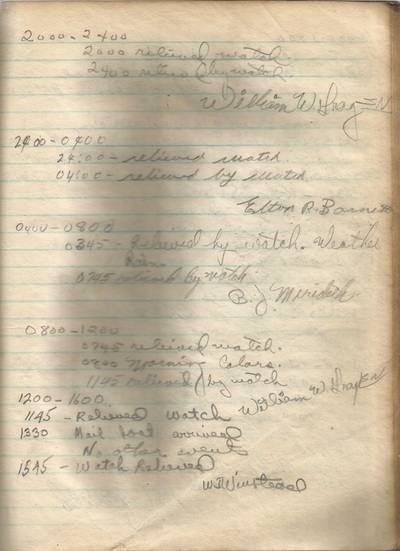 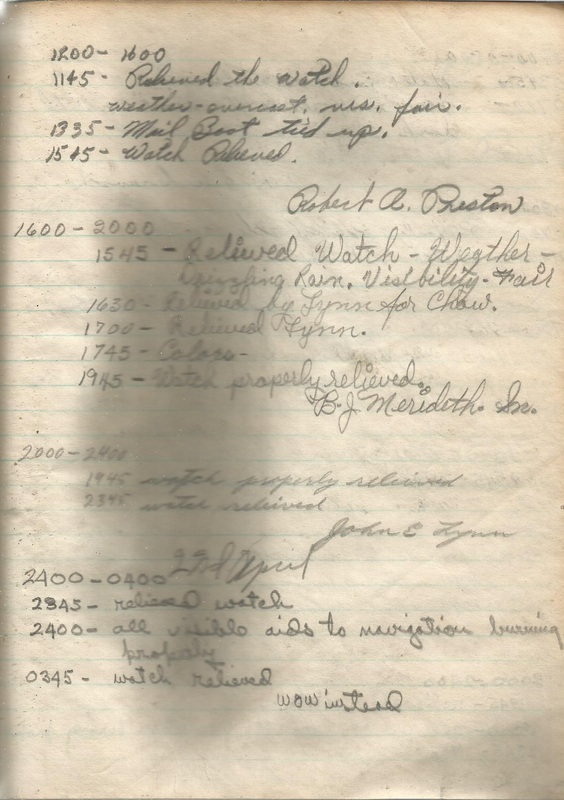 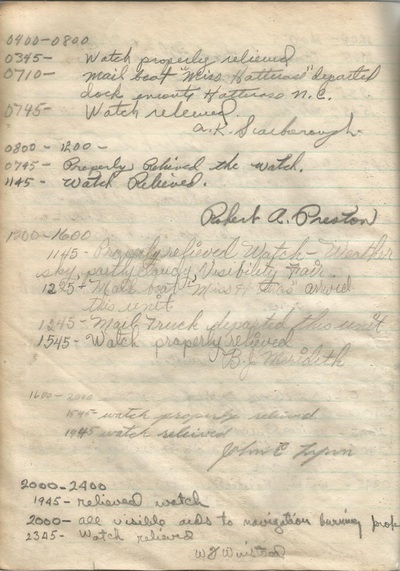 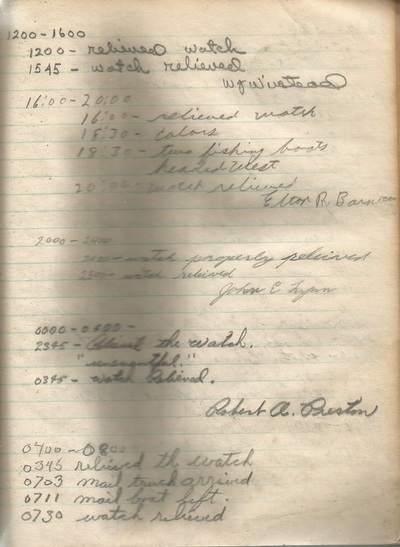 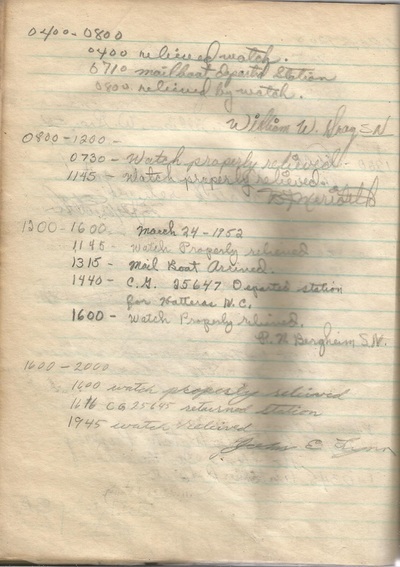 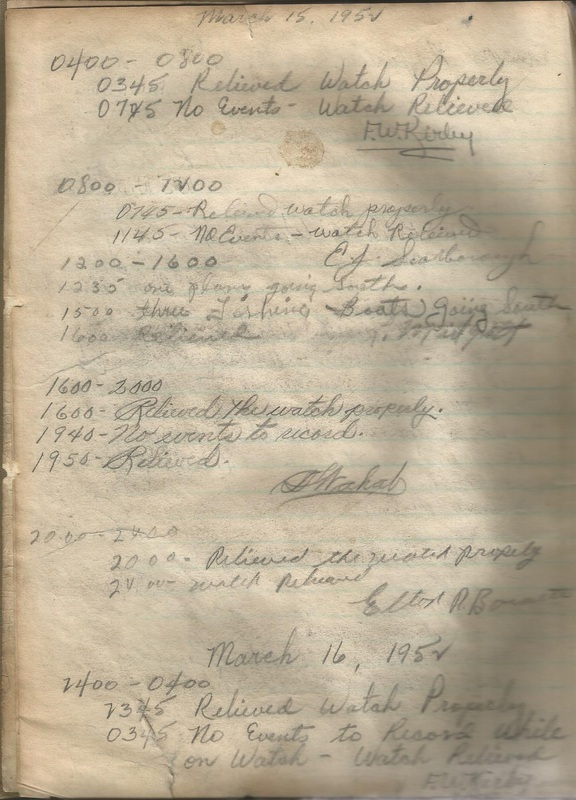 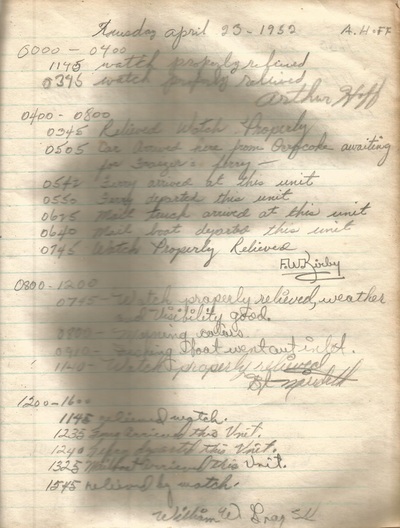 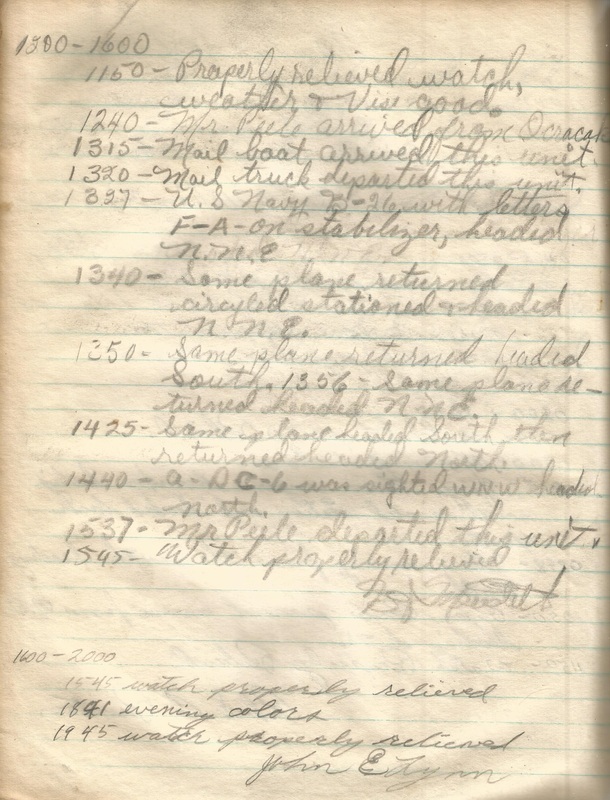 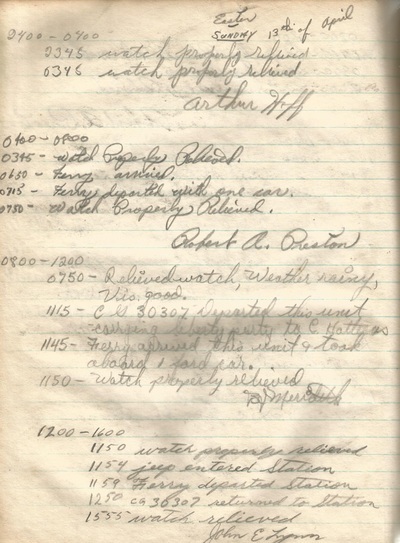 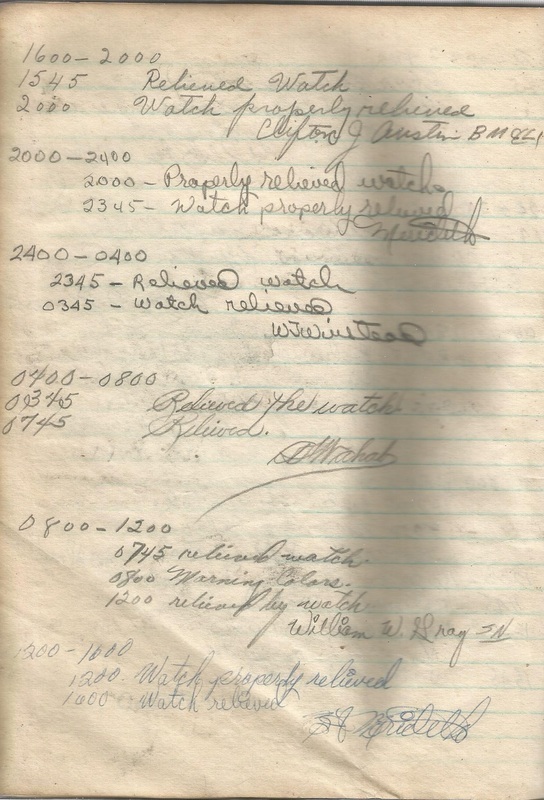 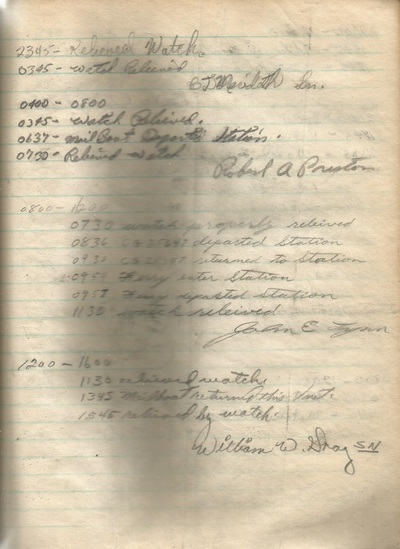 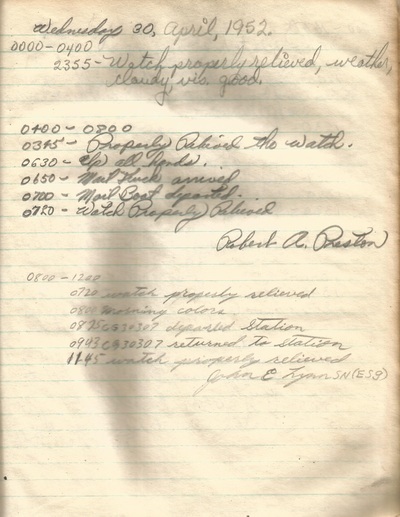 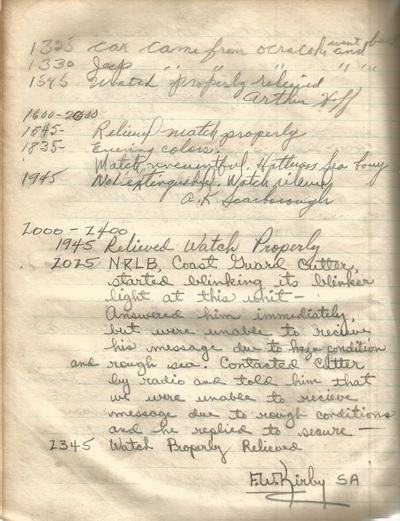 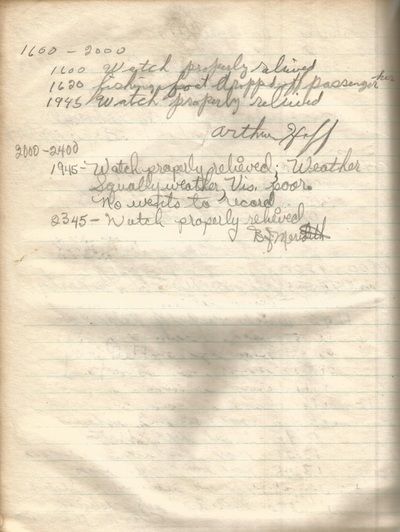 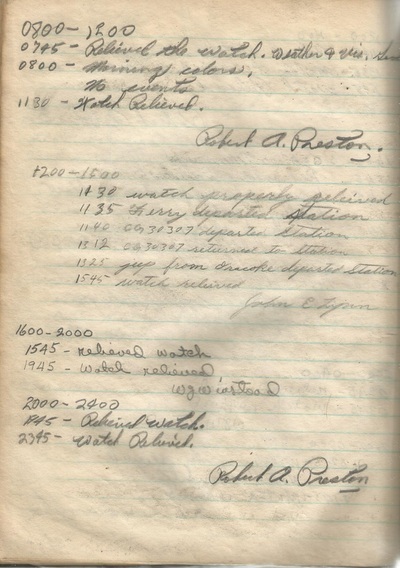 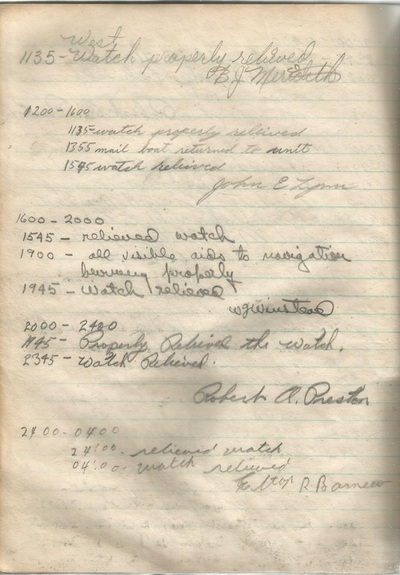 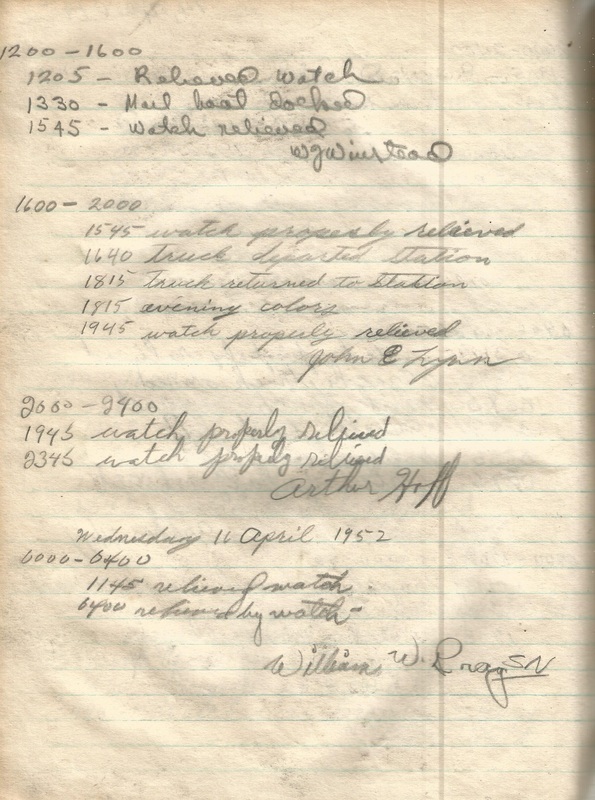 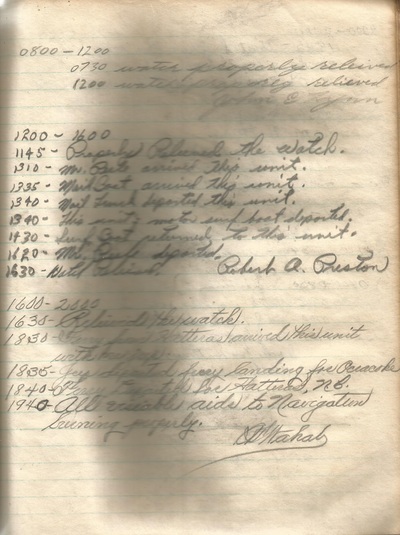 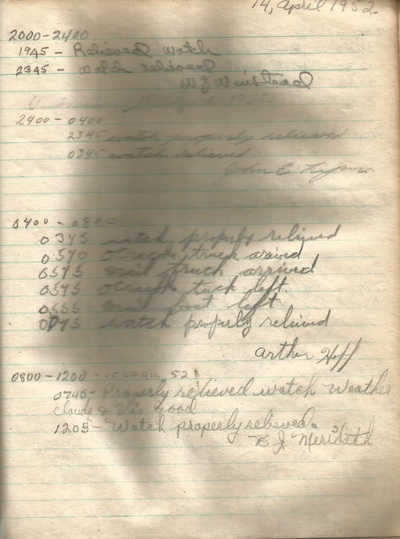 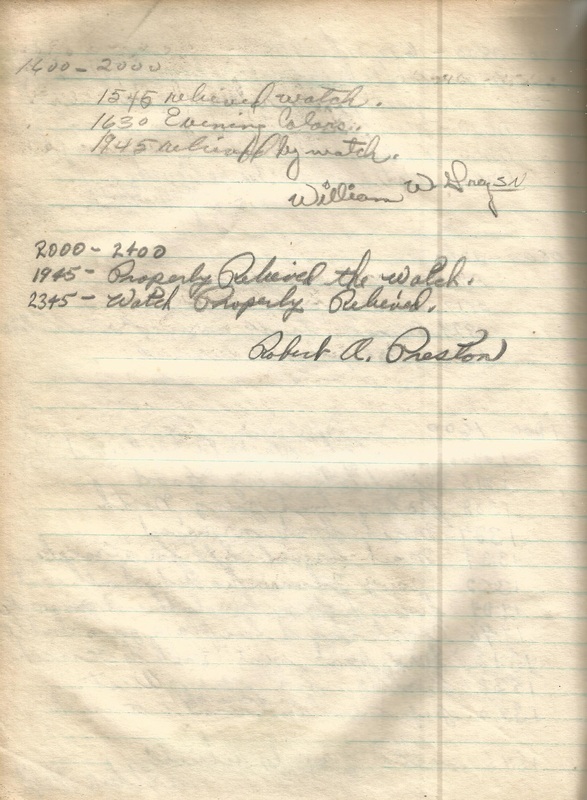 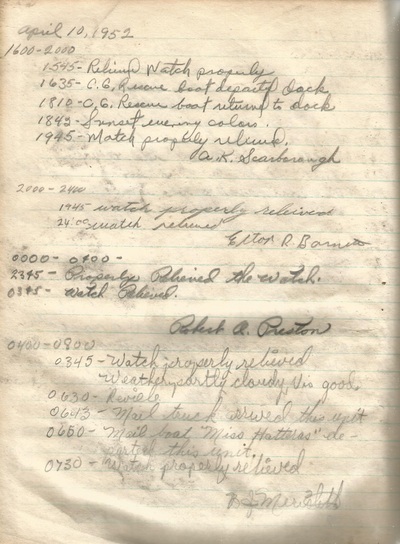 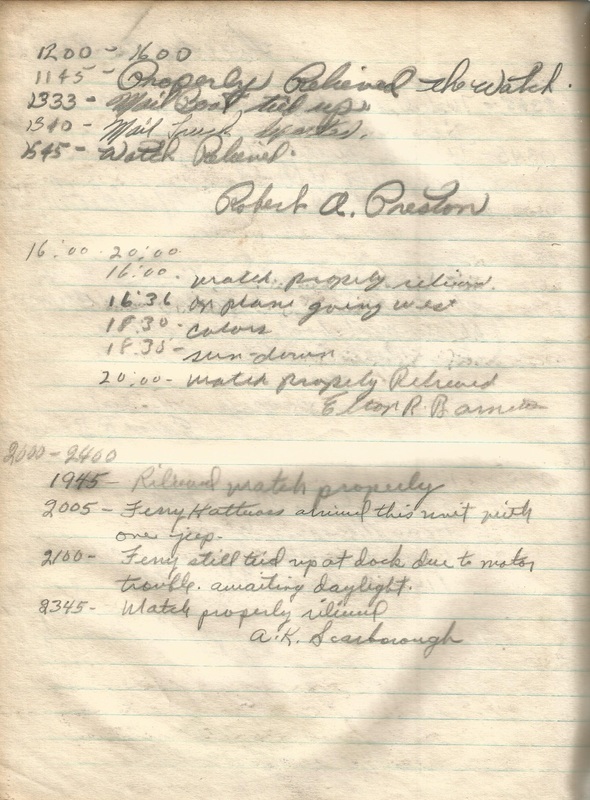 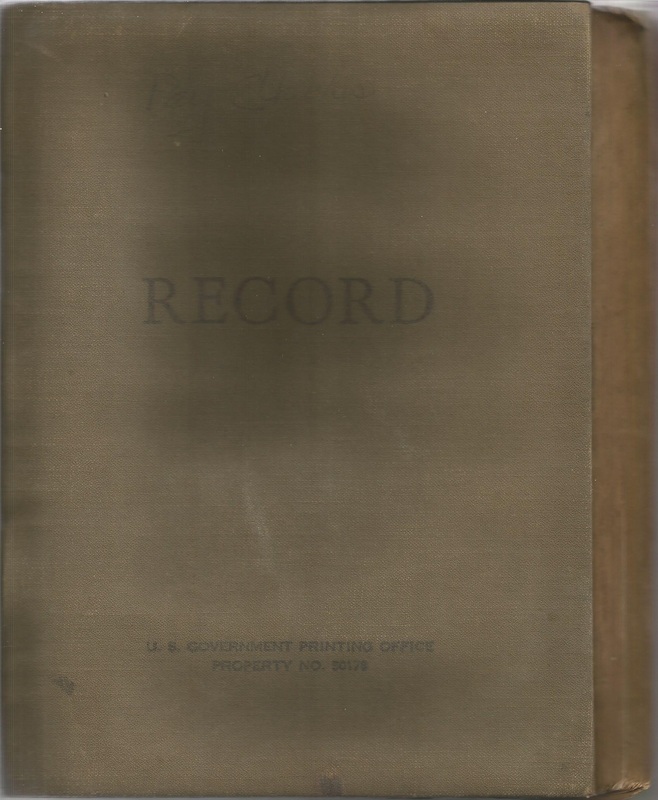 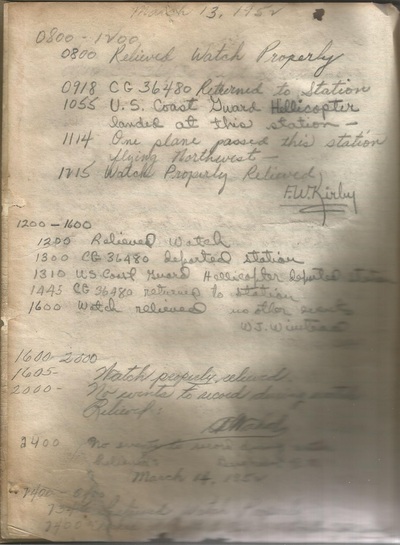 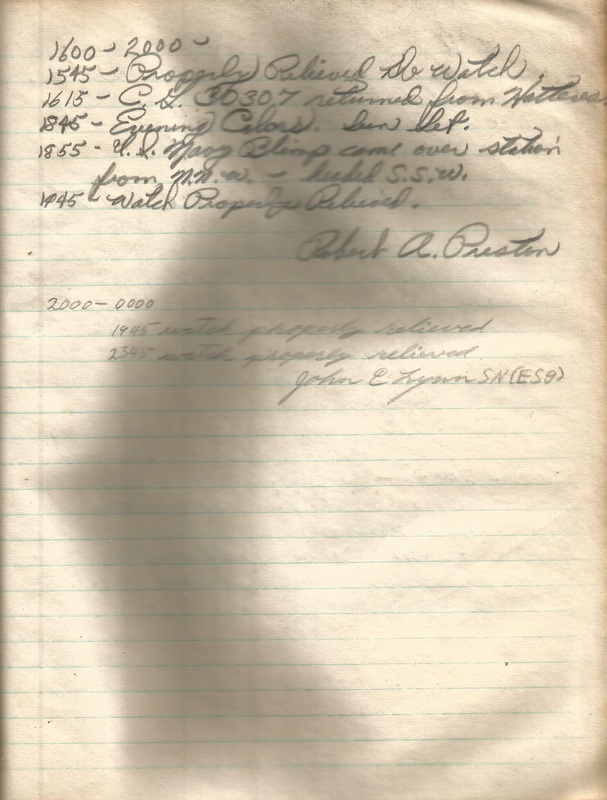 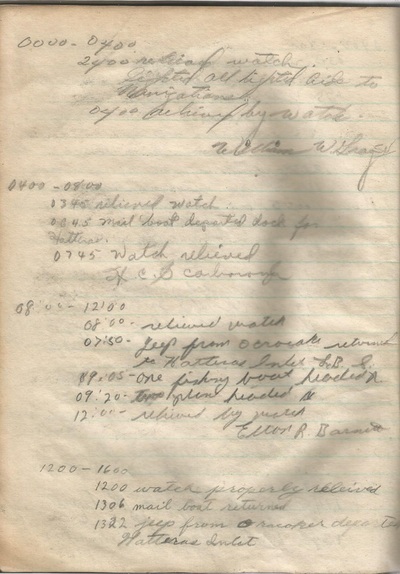 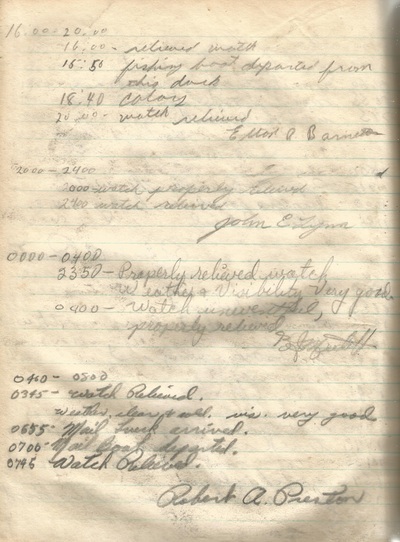 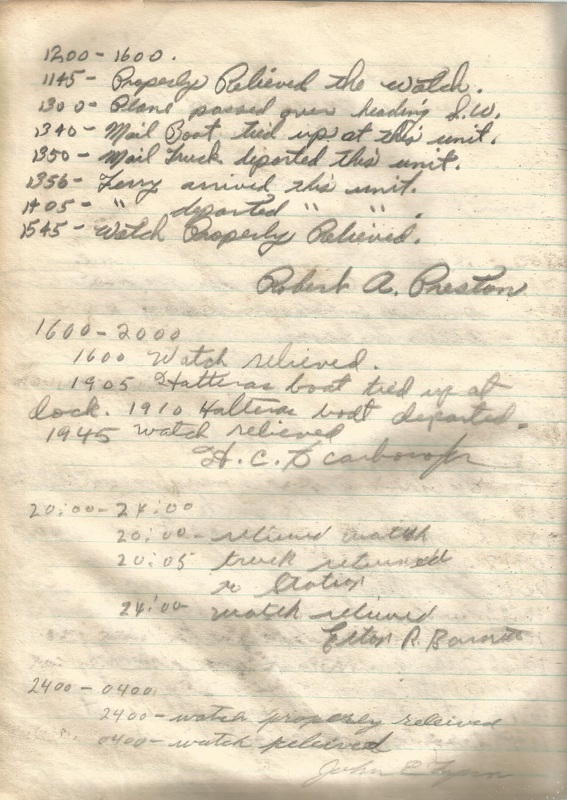 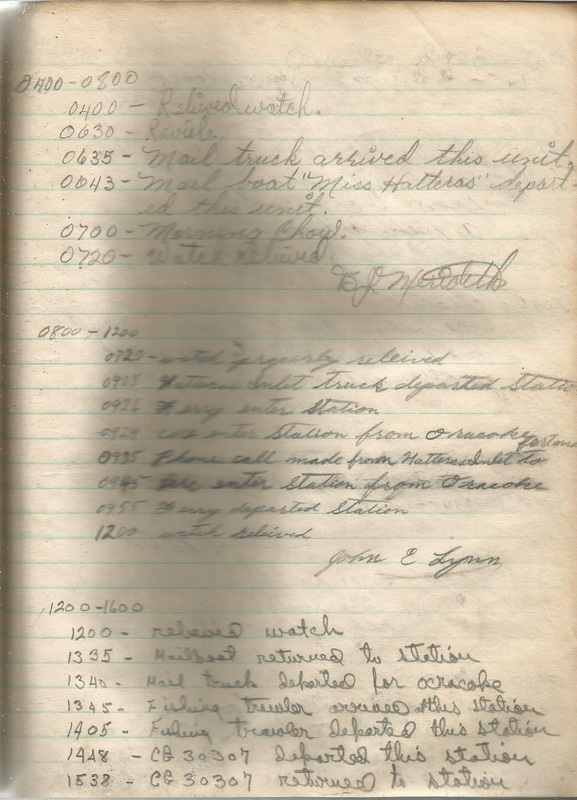 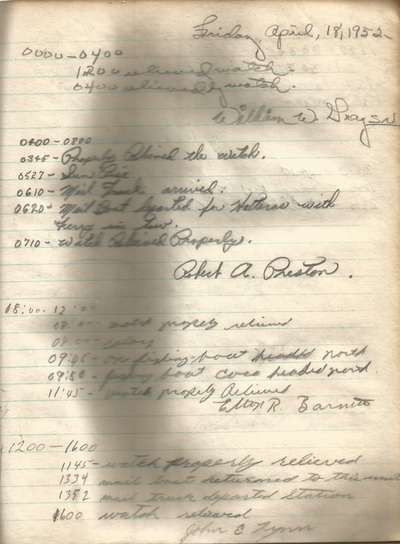 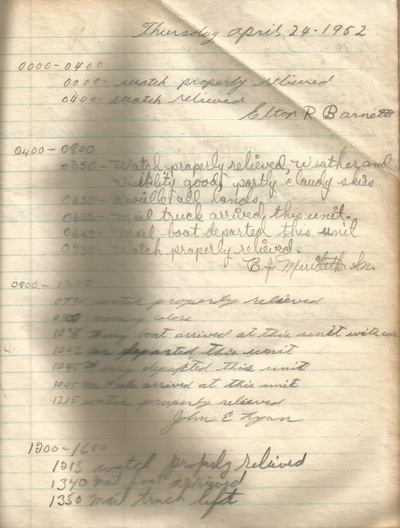 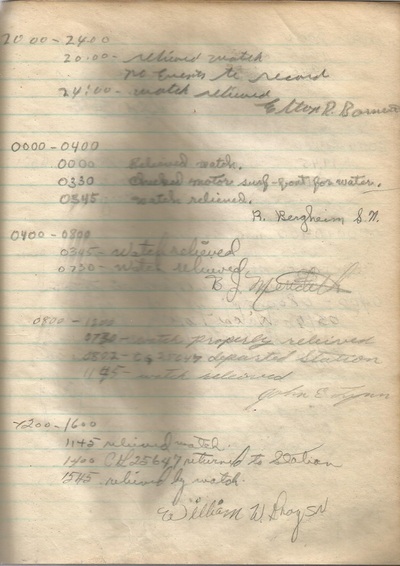 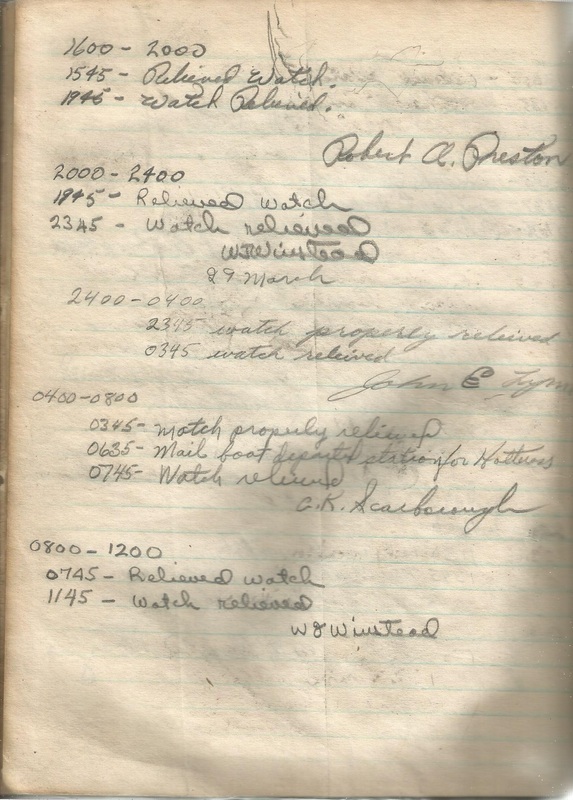 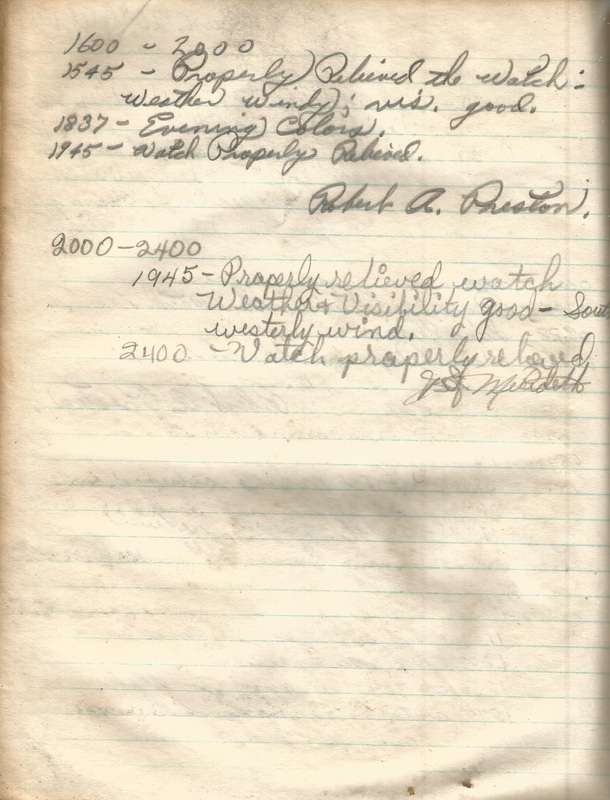 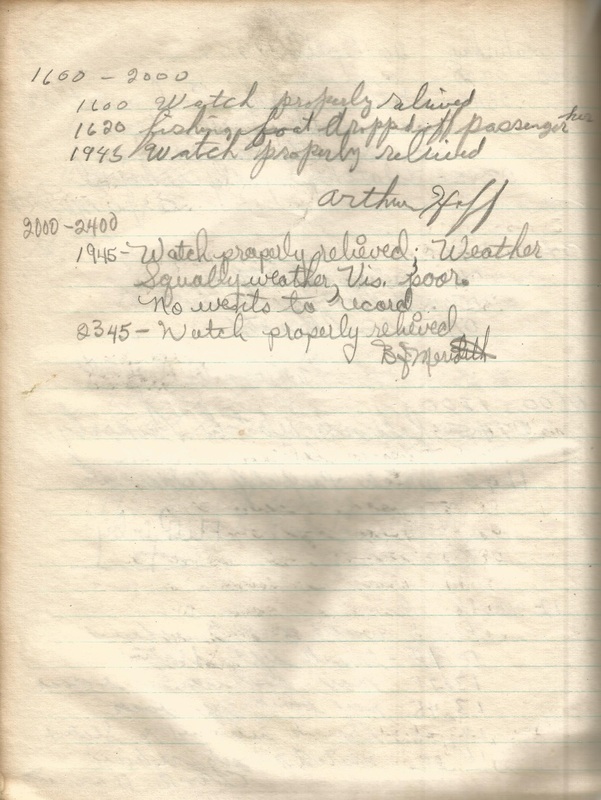 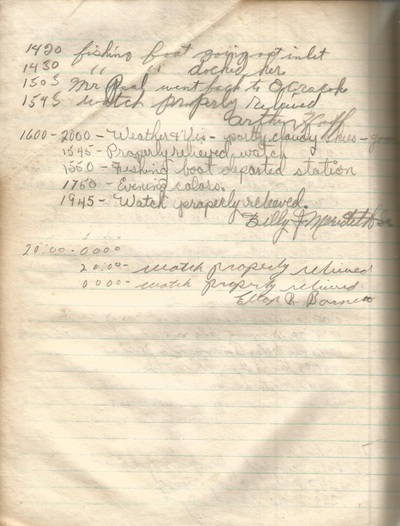 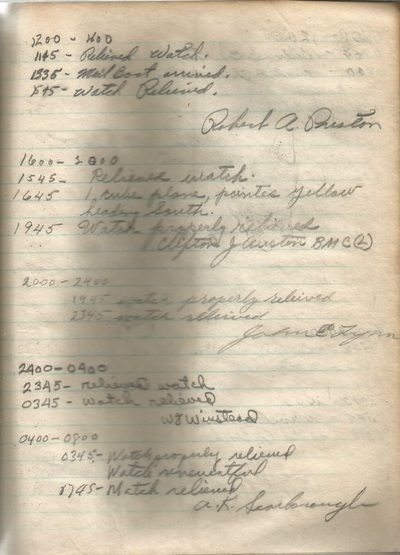 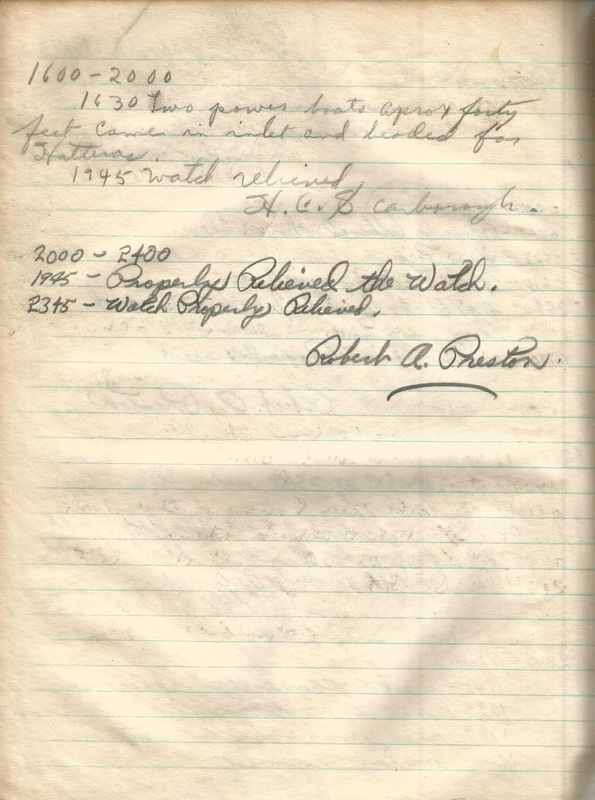 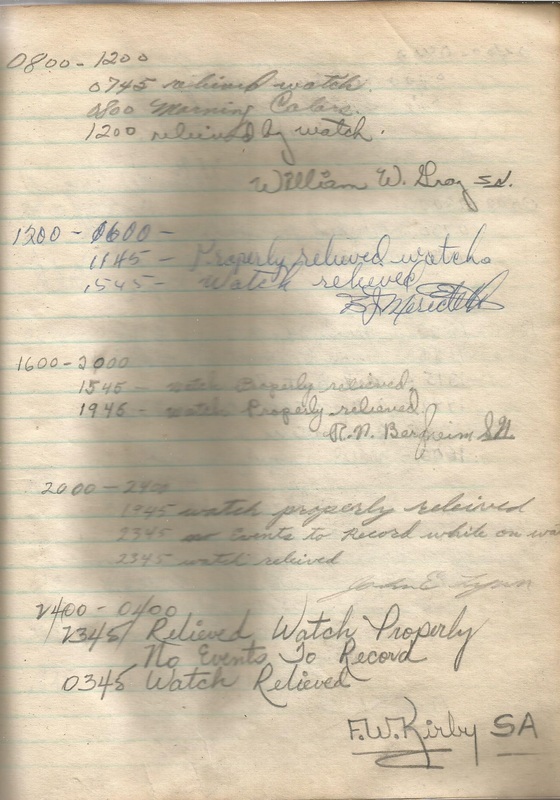 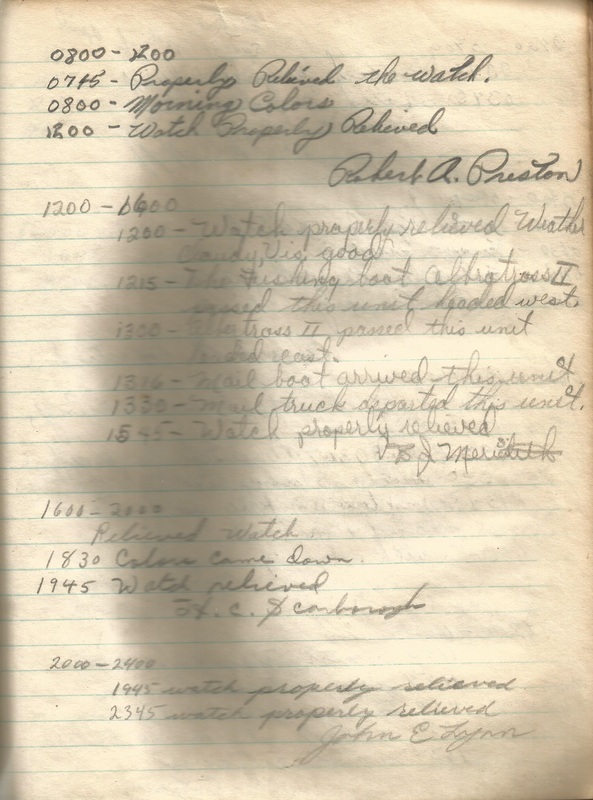 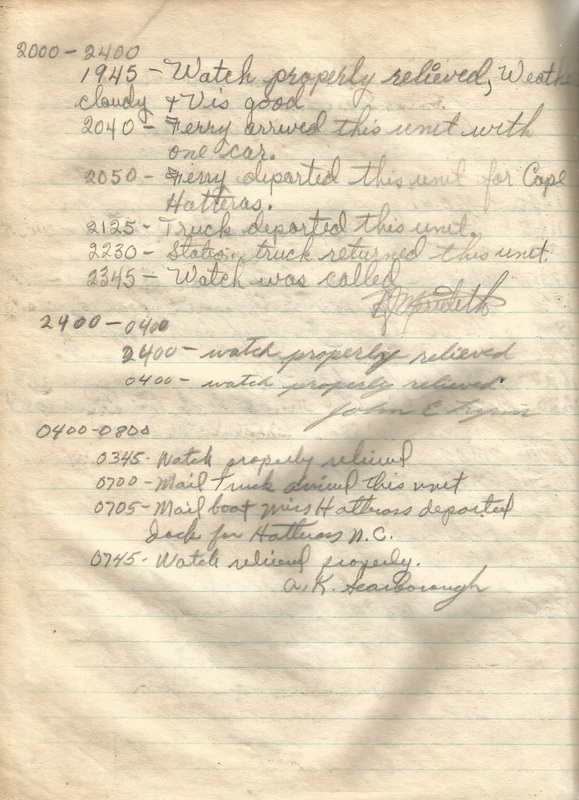 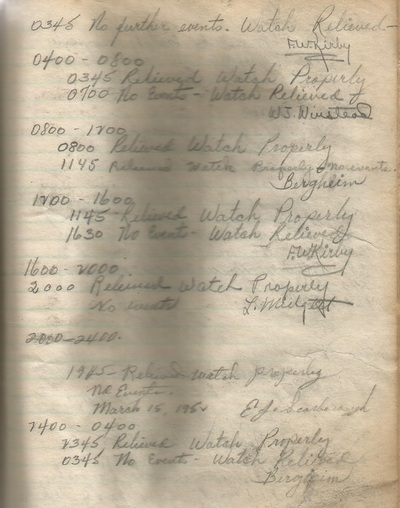 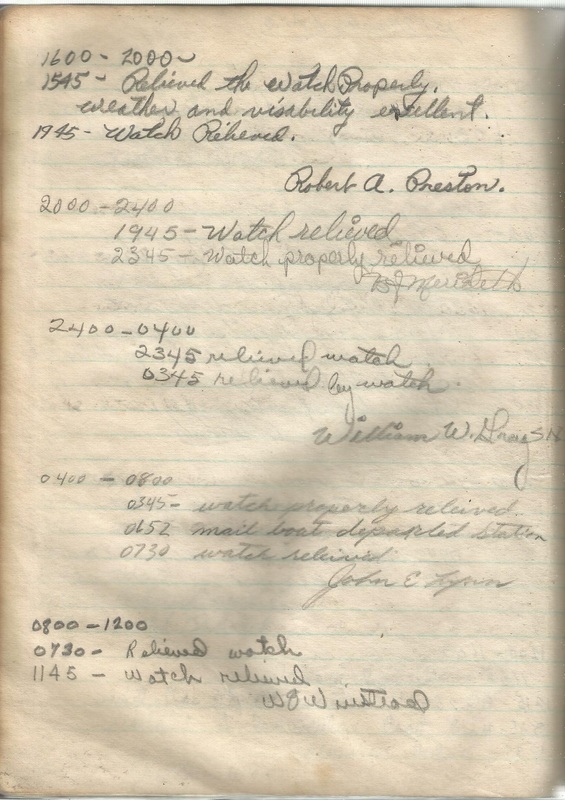 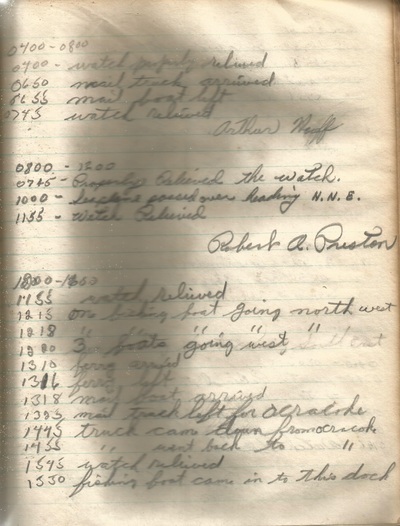 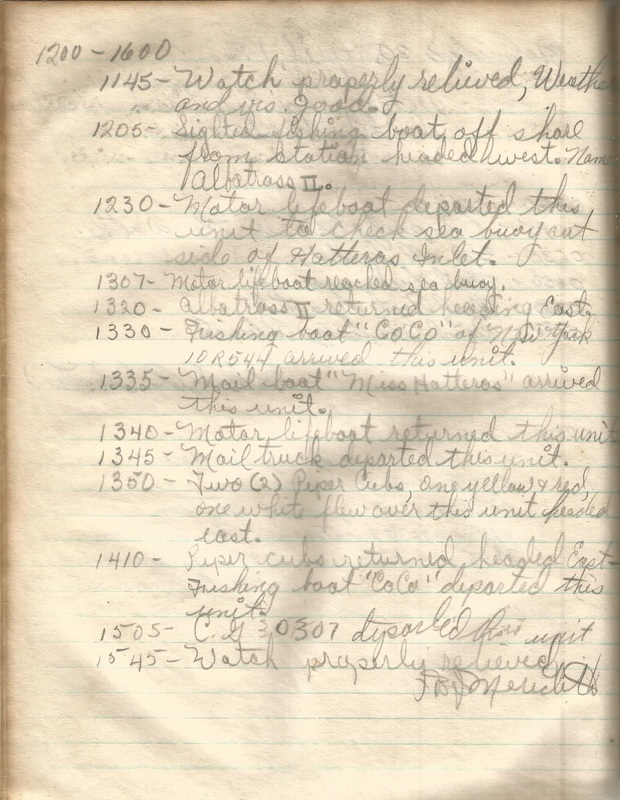 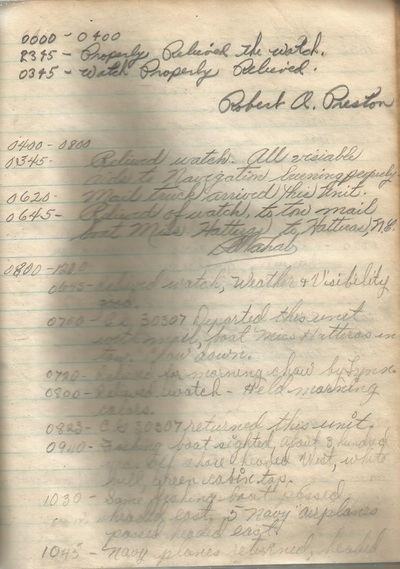 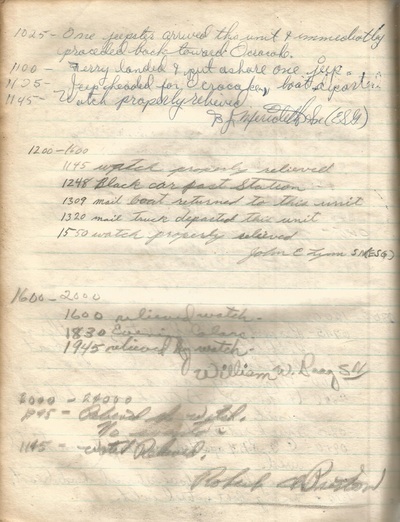 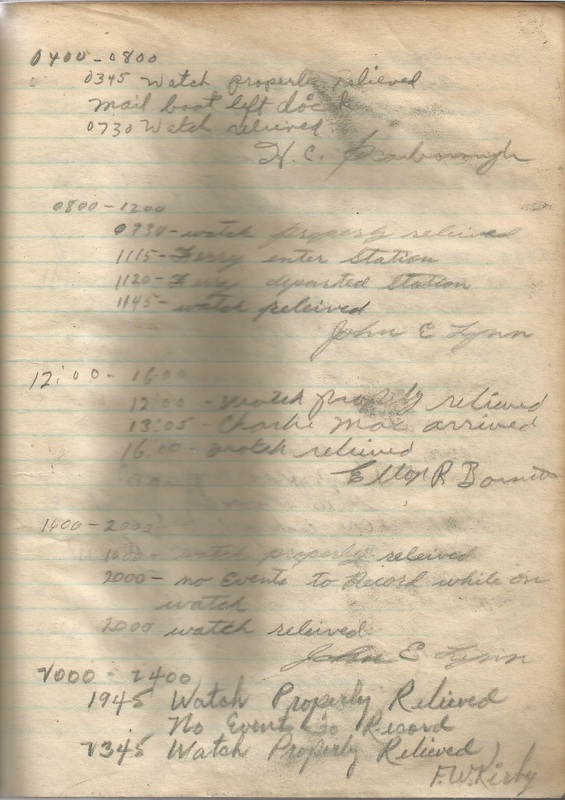 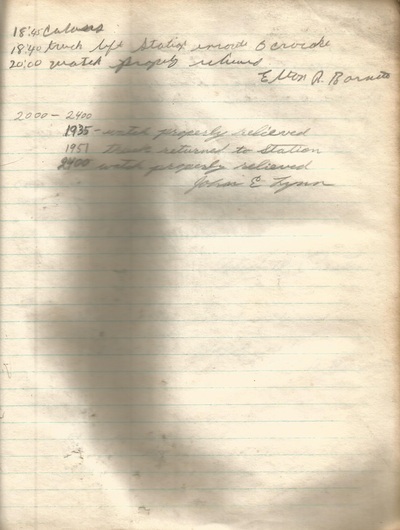 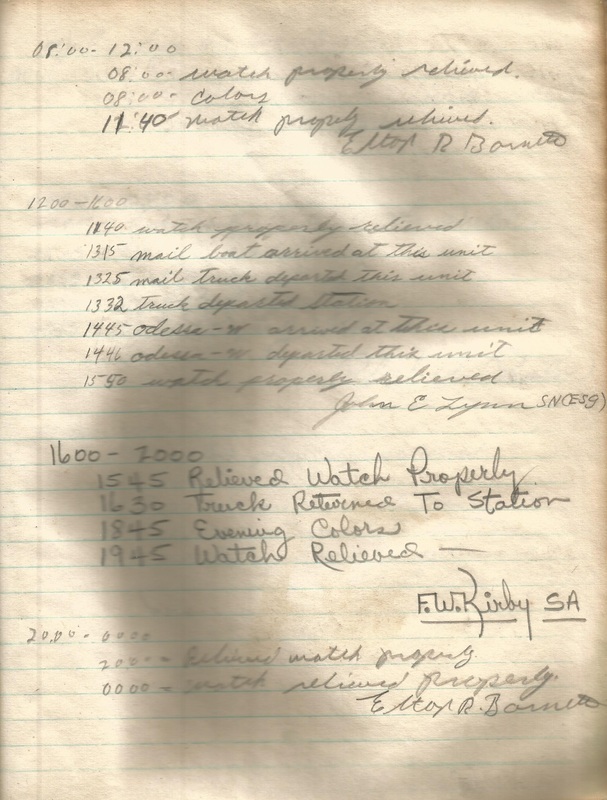 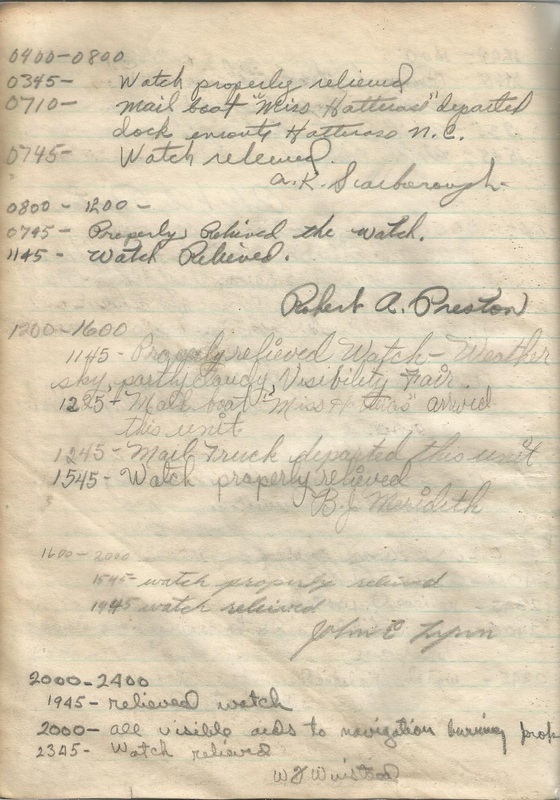 The following pages are from the Log Book of the Hatteras Inlet Lifeboat Station. 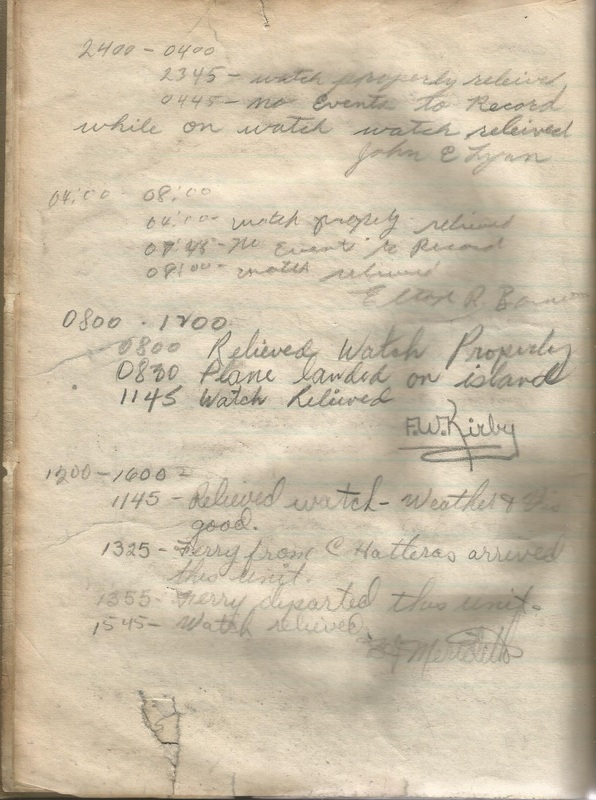 a trip back in time with us to catch yet another glimpse of our maritime history. The Hatteras Inlet Life Boat Station Log Book has been donated to the Outer Banks History Center in Manteo, NC. It is our hope that in doing so, it will be preserved for generations to come.